Angry Birds coming soon on TV ~ " World Information "
Jakarta. Angry Birds are rampant. Next, the game 'bird rampage' of Finland will be present at the television set. 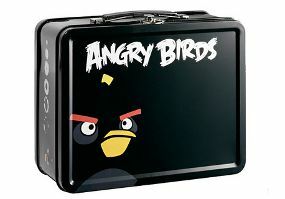 This was done through cooperation between the Rovio, maker Angry Birds, with the Roku. The name of the latter is the maker of the device set-top box for television. As quoted from Engadget, Thursday (02/06/2011), Roku plans to bring several new devices for Internet access via television. One new feature that will be present is the ability to play casual games. Popularity Angry Birds make Roku took Rovio to bring these games on the television screen. Of course, Roku hope this step will invite others to join games support their platform. In the United States, Roku is known as a provider of device that can be used to access the online video rental service Netflix. "Just like when we were the first to bring Netflix on TV, we want to be the catalyst that changed the way people play casual games - from the Angry Birds - the biggest screen they have at home," said Anthony Wood, Roku CEO . On the other hand, Roku had to compete with consoles like Xbox 360, PlayStation 3 and Nintendo Wii are already present a variety of casual games to be played on TV.